Patti H. Clayton is an Independent Consultant (PHC Ventures: www.curricularengagement.com) with over fifteen years of experience as a practitioner-scholar and educational developer in community-campus engagement and experiential education. She serves as a Senior Scholar with the Center for Service and Learning at Indiana University – Purdue University Indianapolis (IUPUI), a Visiting Fellow with the New England Resource Center for Higher Education (NERCHE), and a Senior Scholar at the University of North Carolina at Greensboro (UNCG). She has consulted with over 100 colleges and universities in the US, Canada, and Ireland and was formerly founding Director of the Center for Excellence in Curricular Engagement at NC State University and a Faculty Fellow with National Campus Compact’s Project on Integrating Service with Academic Study. Patti co-developed with students and faculty a research-grounded critical reflection and assessment model (the DEAL Model), models for student leadership in service-learning, the SOFAR Model of Partnerships and TRES instrument for evaluating partnership quality, and a variety of other professional development and curriculum development processes related to community-campus engagement. 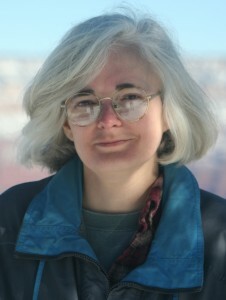 She and her colleagues produced student and instructor versions of the tutorial Learning through Critical Reflection; she was co-editor with Bringle and Hatcher of the 2-volume set Research on Service Learning: Conceptual Frameworks and Assessment; and she co-authored the Democratic Engagement White Paper with Saltmarsh and Hartley. A Board member of the International Association for Research on Service-Learning and Community Engagement (IARSLCE), she serves as an Associate Editor with the Michigan Journal of Community Service-Learning, is on the editorial board of the Journal of Applied Learning in Higher Education, and was co-editor (with an international team of graduate students) of the IARSLCE annual conference Proceedings in 2011 and 2012. She has co-authored over 40 book chapters and articles and co-facilitated over 175 conference sessions, many of them with undergraduate or graduate students. Patti has facilitated institution-wide visioning and planning processes for community-campus engagement, supported campuses in applying for and leveraging the Carnegie Community Engagement Classification, led inter-disciplinary and inter-institutional scholarly collaborations, and co-designed initiatives for engaged graduate and undergraduate education. She has integrated service-learning into a variety of her own courses, including in environmental and leadership studies. Her current work focuses on designing teaching and learning, partnerships, and scholarship in ways that position all participants as co-educators, co-learners, and co-generators of knowledge; transformational institutionalization of community-campus engagement; next generation engagement; and faculty learning. Chelsea is a passionate champion of community-engaged scholarship. She holds two national research grants (SSHRC) for her research focusing on how stakeholders respond to organizations’ environmental practices and community involvement, and has published this work in top journals and book chapters. She is also interested in approaches to leadership development and governance that build capacity and increase organizational sustainability. She is co-investigator on a $2.5 million SSHRC Partnership Grant examining Community First: Impacts of Community Engagement. In 2012, Chelsea was awarded the Innovation in Teaching Award from the Academy of Management for her design and implementation of HR courses that integrate community involvement and experiential learning. In 2013 she received the Dean’s Emerging Scholar Award for research, and she is the 2014 recipient of the University of Saskatchewan’s Award for Distinction in Community-Engaged Teaching & Scholarship, and the Provost’s College Award for Outstanding Teaching. Chelsea recently launched an innovative new experiential course that pairs business students with non-profit boards and community mentors, which is the first undergraduate course of its kind in Canada. She has been involved with nonprofit boards and committees in arts and culture, environmental, and animal welfare organizations. This session will be a combination of invited address and interactive workshop. In the first segment, my presentation will provide an overview/highlight some current practices, frameworks, and recent research on community-based experiential learning. I will describe some examples from my own work in creating community-university partnerships in the context of course development and implementation, service-based teaching and learning, and models of curriculum innovation. I will also provide highlights from the program of research that has evolved out of this work. The second segment will involve a facilitated forum within which attendees can discuss their own successful practices and benchmark frameworks amongst themselves in order to leverage their collective knowledge and experience. Leah’s research focuses on the social and economic integration of immigrants in Canada. She is Principal Investigator on a SSHRC Insight Development Grant and Co-Investigator on a SSHRC Insight Grant. Both of these projects examine various ways to facilitate the settlement and integration of immigrants in Canada. In addition, she is a very active collaborator in the SSHRC-funded Pathways to Prosperity Partnership (P2P), an alliance of university, community, and government partners dedicated to promoting the integration of immigrants across Canada. To conduct her research, Leah works closely with government policy makers and with stakeholders from the settlement sector. Leah has completed several projects that were commissioned by Citizenship and Immigration Canada, including reports on topics such as: the characteristics of welcoming communities for immigrants; identifying essential components of successful business supports for immigrant entrepreneurs; and exploring the experiences and outcomes of official language minority immigrants. Most recently, Leah completed a labour market integration project for the Immigrant Sector Council of Calgary. Leah integrates her passion for community engagement in her teaching, where she applies community engagement pedagogies within her leadership development class. During the first half of this session I will present some of my recent research projects on the settlement and integration of immigrants in Canada. This will include a focus on fostering meaningful community partnerships and consideration of some of the challenges and benefits of working closely with policymakers and the settlement sector. I will also highlight how my community-based research informs my teaching. During the second half of this session I will facilitate a discussion during which attendees will be encouraged to share promising practices and to discuss how community-engaged research can help to solve important social issues. 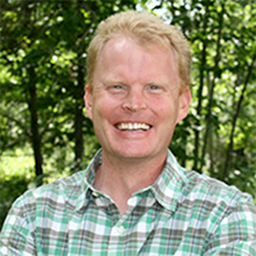 Stephen is an associate professor in the new School of Environment at Trent University. Stephen incorporates service learning and community-engaged scholarship in large first-year courses, upper year undergraduate courses, and graduate teaching. His teaching has been recognized through the T.H.B. Symons Award for Excellence in Teaching (2011) and the Excellence in Education Award for Promotion of Sustainable Practices (2012). Stephen’s research interests focus on environmental and renewable energy management and policy in Canada. He is working to understand the nature of controversy and conflict surrounding renewable energy technologies (supported by the Social Sciences and Humanities Research Council). He also works on processes of social learning and innovation around community-based environmental management and policy, particularly within the Peterborough area. His work attempts to cross boundaries of disciplines and institutions, and to connect ideas, theory and practice. He brings a unique background spanning policy, management, science, and engineering to his research. My presentation will examine community service learning through a set of conceptual frameworks. The theoretical concepts will be explored and developed through examples and cases developed through the environment & sustainability hub of the SSRHC-CURA Community First: Impacts of Community Education (CFICE) research project (https://carleton.ca/communityfirst/about-us/hub-3/), with a focus on a active transportation planning and community engagement community-based research project currently underway in Peterborough (http://activeneighbourhoods.tcat.ca/neighbourhoods/stewart-street-peterborough/). . The presentation will highlight ways and means to ensure community interests are met through service learning. We will discuss current practices, including courses, trends, research, partnership relations, and global initiatives, at three academic institutions with active CSL agendas. Issues, such as internal inconsistencies, adoption, communication with stakeholders, and administrative concerns, will also be highlighted. The session will move into an open dialogue with attendees regarding what are the opportunities for CSL practices in Canada, and examples of successful CSL practices. Dr. Darren E. Lund is a Professor in the Werklund School of Education at the University of Calgary, where his research examines social justice activism. Before earning a PhD from UBC, Darren was a Red Deer high school teacher for 16 years. Darren has published over 300 articles, chapters, and books, and has been recognized with many honours, including the 2015 ATA Educational Research Award, the 2013 Alberta Hate Crimes Awareness Award, and the 2012 Scholar-Activist Award from the American Educational Research Association. Dr. Lund was also named a Reader’s Digest National Leader in Education and one of Red Deer’s Top Educators of the Century. Dr David Peacock is the Executive Director CSL in the Faculty of Arts at the University of Alberta, Canada. His PhD from the University of Queensland (2014) was in the Sociology of Education and involved an institutional ethnography of university outreach practices to students from disadvantaged schools. David researches and publishes on student equity and higher education, global service-learning, curriculum theory, community based-research and university-community engagement. 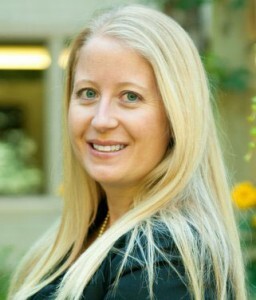 Victoria Calvert is a business Professor as well as the CSL Facilitator for Mount Royal University. Her research interests include the impact of community-based projects on students and community partners as well as various aspects of entrepreneurship. She has been active within the Canadian Alliance for Community Service Learning and is the chair of its bi-annual national conference in 2016. She has received teaching awards, such as the Distinguished Faculty award from MRU, and is recognized as a leader in CSL curriculum development. Victoria has authored several books regarding entrepreneurship that have been adopted nationally, and is the coeditor of two forthcoming publications: Canadian Student Service Learning Vignettes and Community and Service Learning: Impact for Sustainability. We will describe an innovative, co-curricular program for pre-service teachers and presents findings from a study investigating the program as Socially Empowered Learning. First, we introduce the novel design for a program that engages future teachers to serve community-identified needs while enhancing their knowledge as educators. Then, we present the theoretical foundations of Socially Empowered Learning, and methodology used to measure program impact, with a particular interest in effects on social empowerment, entrepreneurial agency, and intellectual engagement. Student perspectives from qualitative data will be shared and preliminary findings explored. Last, future directions and recommendations for community engaged learning programs in practice will be presented. Brittany’s work sits at the intersection of Arts, Leadership, and Learning. She is an Arts Education Specialist (B.Ed, Arts Ed) with a PhD in Strategy and Global Management (beta gamma sigma). Her expertise spans arts integration, workshop/program design, professional development, service-learning, collaboration, cognition, and socially empowered learning. 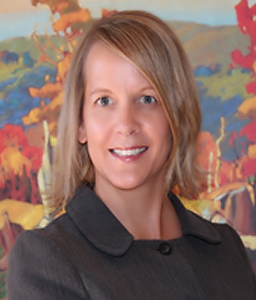 Her talent is in translating learning outcomes into engaging, customized learning experiences. She has taught every age group (preschool to grad school), excels at public speaking, and has extensive experience in the classroom and teaching on-line. Brittany is an interdisciplinary scholar and presents regularly at conferences on the arts, business management, and education. 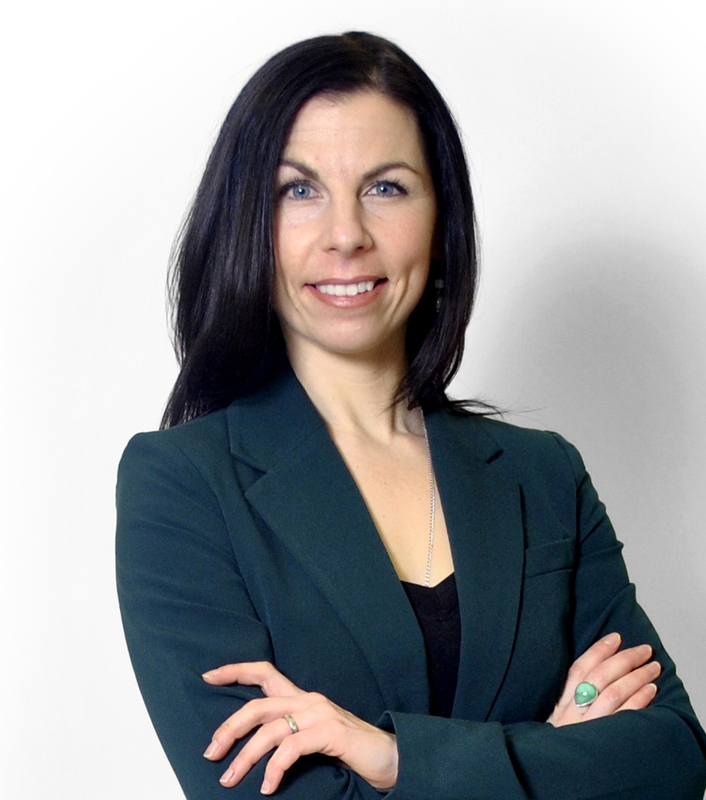 She is currently employed as an Assistant Professor of Leadership at the Werklund School of Education, with past roles at the Haskayne School of Business (UofC), and the Bissett School of Business (MRU). 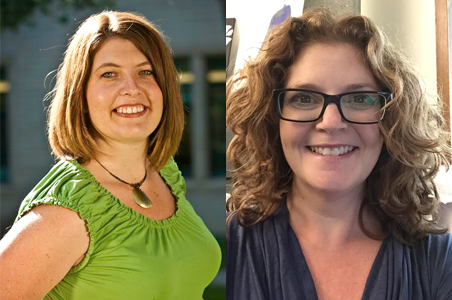 Melanie Rathburn and Roberta Lexier, professors at Mount Royal University, have been working on research projects related to international field schools and global citizenship. In particular, they have been exploring how an international field school encourages student learning and enables students to become global citizens. They recently completed a SSHRC Knowledge Synthesis project on global citizenship, which included an examination of the various definitions of the term among post-secondary institutions and provided a new framework for understanding the process as students become global citizens. Rathburn and Lexier are also involved in a collaborative self-study with seven other faculty members to investigate faculty perceptions of service learning in a global context. Industry, government, and universities, identify global citizenship as an important outcome of education, but there is no consistent definition of this term or common mechanisms to achieve this goal. In our workshop, we will present a framework that will allow universities to develop a clear and explicitly articulated definition that is grounded in a shared process and vocabulary and is measurable. We will discuss the importance of Community Service Learning as one pedagogy that can encourage students to become global citizens and lead an interactive discussion on how it can best be used to encourage global citizenship among our students. As an Indigenous faculty member in the Werklund School of Education, Dr. Poitras Pratt teaches a mandatory class on First Nations, Métis and Inuit education, history and leadership to pre-service education students. She and Dr. Patricia Danyluk, also of Werklund, have also developed a service learning program in nearby First Nations schools through a series of research grants. 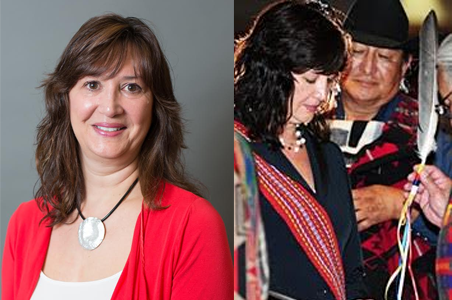 Dr. Poitras Pratt will be a speaker for the Indigenous CSL/CE curriculum panel, as well as leading an academic workshop featuring the CSL project she and her colleague have developed. Research will be presented to inform how senior students in a discipline specific business program experienced their capstone course using the pedagogy of community service learning. Pre and post-course survey data will be analyzed and presented to further our understanding for the utility, benefits, and challenges of incorporating community service learning in business courses, specifically in a senior course which has as its focus the strategic management of human resources. The intention of the session is to present empirical data concerning the perceptions of these students to facilitate a rich conversation and to share learning and best practices from this pilot program. Christian is an Assistant Professor in the Bissett School of Business at Mount Royal University. Her teaching focus is in the discipline of human resource management where she leverages her industry experience to create and deliver a variety of junior and senior courses. Christian employs a number of high-impact teaching and learning practices, and she and her students have specifically benefitted from the implementation of community service learning. Christian’s business background includes many years holding corporate roles in HR and leadership development as well as committee, board, and chair experience within the not-for-profit sector. 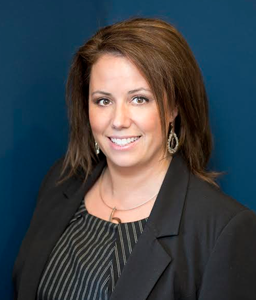 She is an active member in the Human Resources Institute of Alberta (HRIA) and has served on numerous committees including recertification audit, standards advisory, discipline, and experience validation assessment. Her research interests include leadership development, emerging leaders, transformative learning, community service learning and community engagement, and the effectiveness of job rotation as a leadership development intervention.